Please join The Button Law Firm for a FREE seminar on Child Safety at Daycare. If you are a parent, searching for a daycare for a child, or are interested in learning about child safety in Daycare, this seminar is essential. 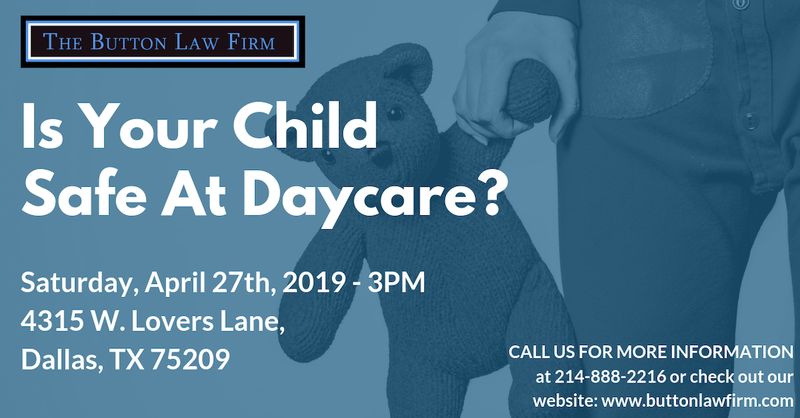 This seminar will bring awareness on the issues of child safety in Texas Daycare, teach parents how to spot red flags, and what to do in the event of an injury, neglect, or abuse.